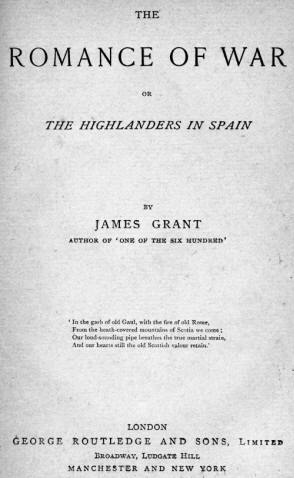 Notwithstanding so many able military narratives have of late years issued from the press relative to the glorious operations of the British Army, for rescuing Portugal and Spain from the grasp of the invader, the Author believes that the present work is the first which has been almost exclusively dedicated to the Adventures of a Highland regiment during the last war; and he flatters himself that it will not be found deficient in novelty and interest. He acknowledges that, according to precedent, scenes and incidents have been introduced into it which are purely imaginary, and whether he ought to apologize. for these, or to make a merit of them, he must leave his readers to decide, according to their individual tastes and predilections. It will need no great sagacity to discriminate between this portion and the veritable historical and military details, the result of the experience of one who had the honour of serving in that gallant corps to which this volume more especially relates, during the whole of its brilliant course of service in the Peninsula, and who participated in all the proud feelings which arose when contemplating the triumphant career of an army, whose deeds and victories are unsurpassed in the annals of war. Most of the military operations, and many of the characters, will be familiar to the survivors of the second division, and brother-officers will recognise many old associates in the convivialities of the mess-table, and in the perils of the battle-field. The names of others belong to history, and with them the political or military reader will be already acquainted. and, lest any reader may suppose that in these volumes the national enthusiasm of the Highlanders has been overdrawn, I shall state one striking incident which occurred at Waterloo. On the advance of a heavy column of French infantry, to attack La Haye Sainte, a number of the Highlanders sang the stirring verses of 'Bruce's Address to his Army,' which, at such a time, had a most powerful effect on their comrades; and long may such sentiments animate their representatives, as they are the best incentives to heroism and to honest emulation! 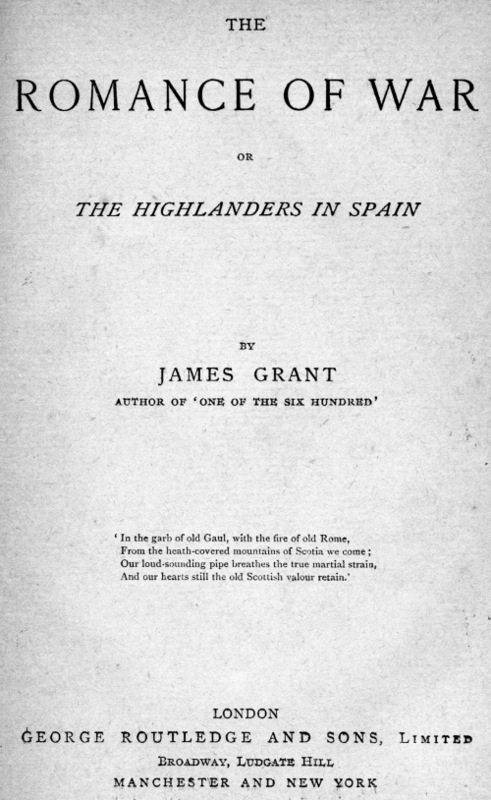 It is impossible for a writer to speak of his own production without exposing himself to imputations of either egotism or affected modesty; the Author therefore will merely add, that he trusts that most readers may discover something to attract in these volumes, which depict from the life the stirring events and all the romance of warfare, with the various lights and shades of military service, the principal characters being members of one of those brave regiments which, from their striking garb, national feelings, romantic sentiments, and esprit de corps, are essentially different from the generality of our troops of the line. The Ball. - The Bull-Fight. - An Adventure.